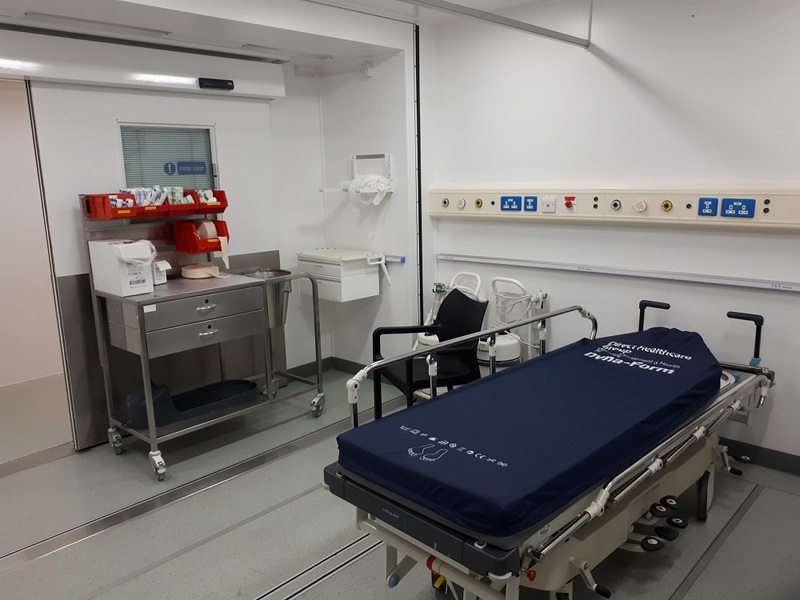 Q-bital has created a temporary Minor Injuries Unit (MIU) at one of Scotland’s busiest hospitals. 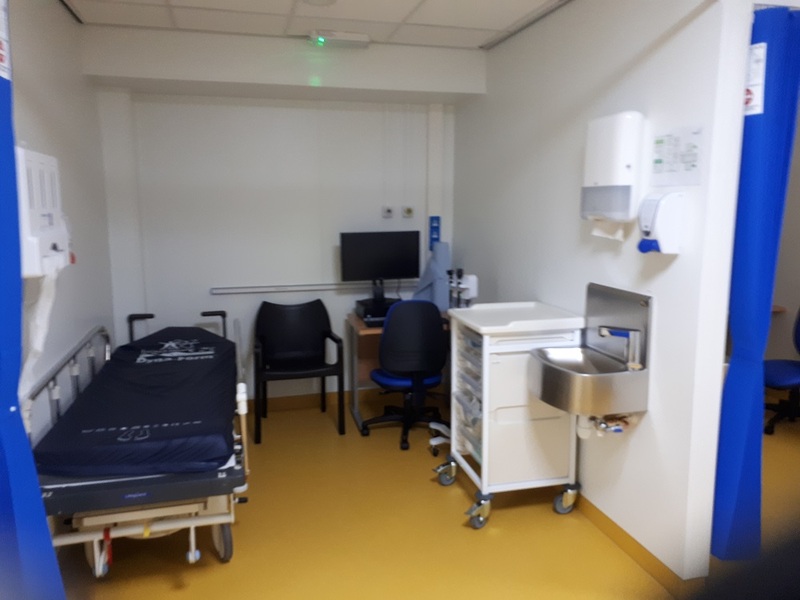 The MIU sits alongside the hospital’s A&E and allows it to divert non-urgent cases away from the busy emergency department and was developed by Q-bital Healthcare Solutions, one of the UK’s leading medical technology organisations. Simon Squirrell, Regional Manager at Q-bital Healthcare Solutions, explained: “By consulting with the hospital on their needs in relation to the patient pathway, how many patients they expected to see in the unit and on exactly what the clinical requirements for the unit would be, we were able to propose a bespoke solution. 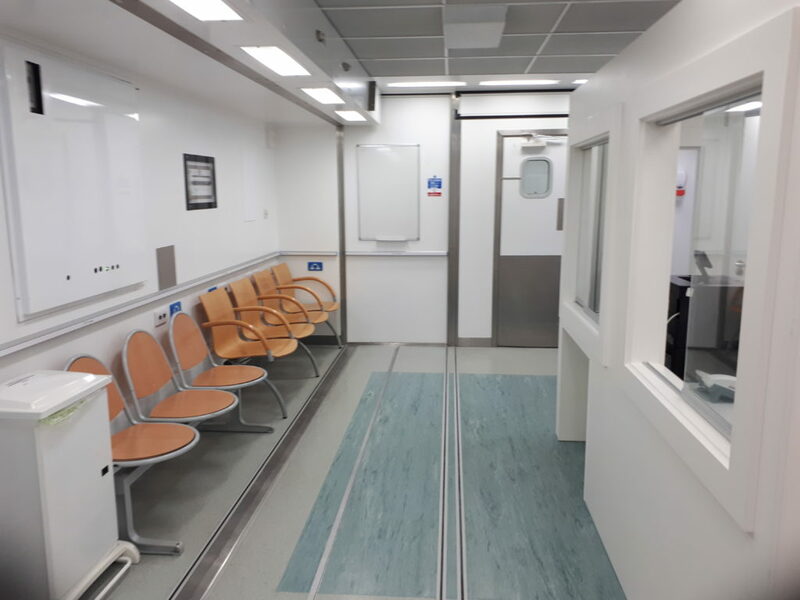 The finished result offers a reception and waiting area, treatment room, plaster room, eye wash room, six treatment bays, clean and dirty utility spaces, lavatories and a changing room. The clinical unit was driven and unloaded onto the pre-determined location and the modular ward from Young Medical was lifted into position on site by crane. Q-bital will also be providing a full-time facilitator on-site to work alongside the hospital’s own team.